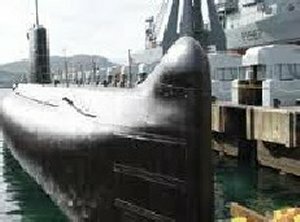 The South African Navy Submarine Museum is an annexe to the Naval Museum and is run by volunteers under the auspices of the Naval Heritage Trust. The boat has been refurbished and is now open to visitors. Tours through the vessel include the Forward Torpedo Room, Junior Ratings Mess, Officers Quarters, Operations Room, Control Room, Engine Room and Senior Ratings Mess. The tours are conducted by ex-submariners who served in the boat, or experienced volunteers, and their extensive knowledge adds to the authenticity of the experience. Visitors are able to get a first hand view of what life was like aboard these underwater weapons. One of only five such museums in the southern hemisphere and the only one in Africa, she is internally complete and is well worth the visit. Once on board the tour lasts for approximately an hour. The submarine is reached via a ferry which leaves from the Simon’s Town Jetty. The ferry cost is R40 per adult and R20 per child; a portion of the ferry cost is donated to the Naval Heritage Trust to aid in the preservation of the boat. 10h00 - 15h30 - Last ferry leaves the jetty at 14h30.